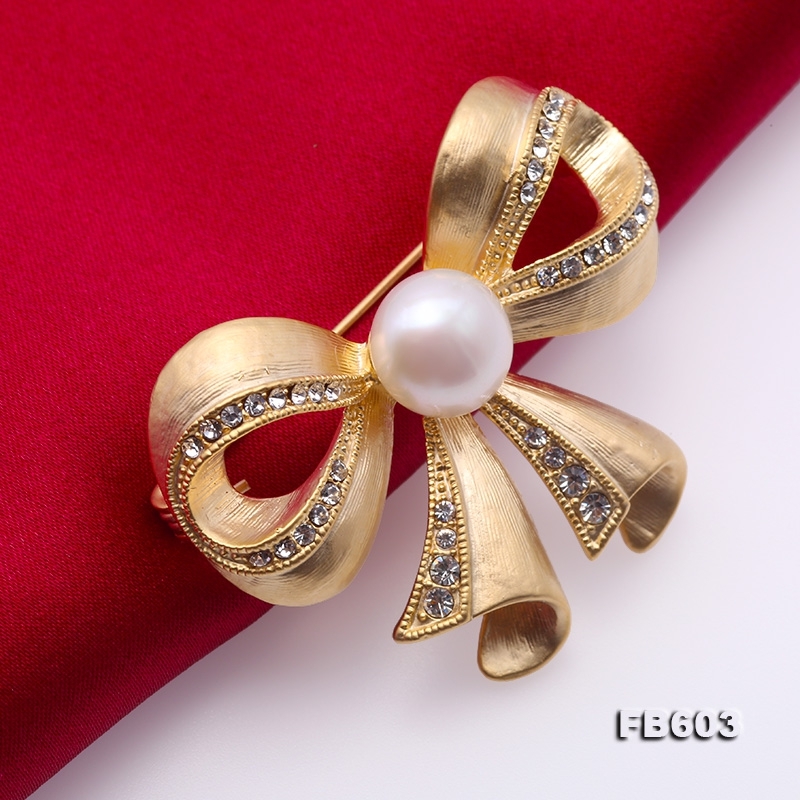 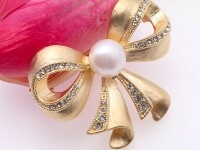 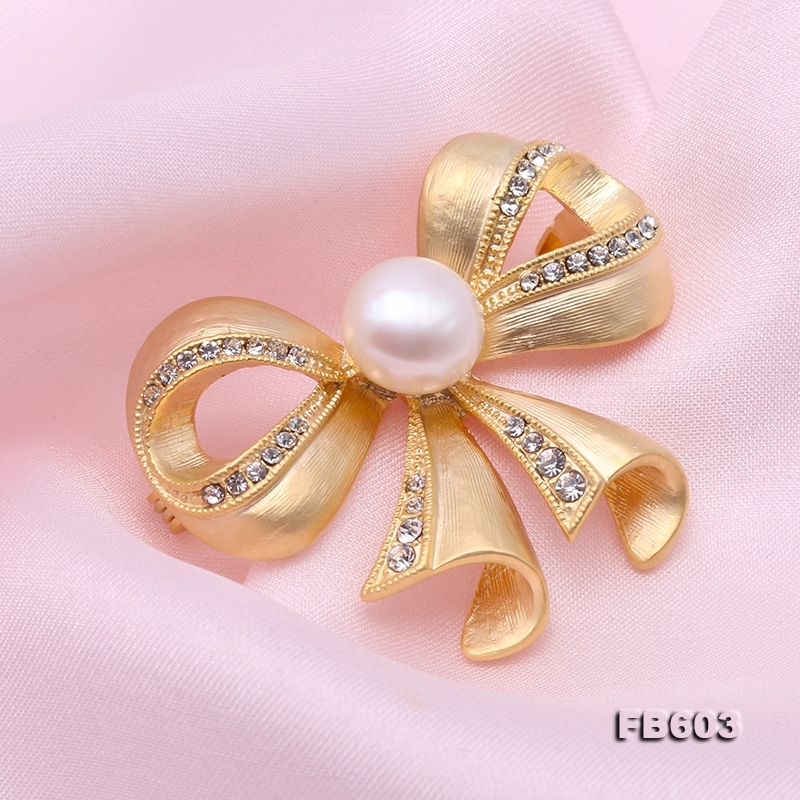 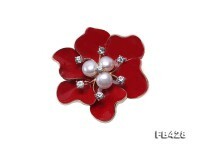 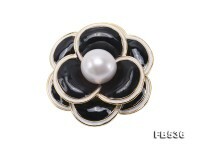 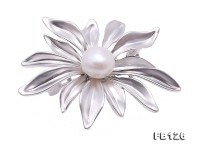 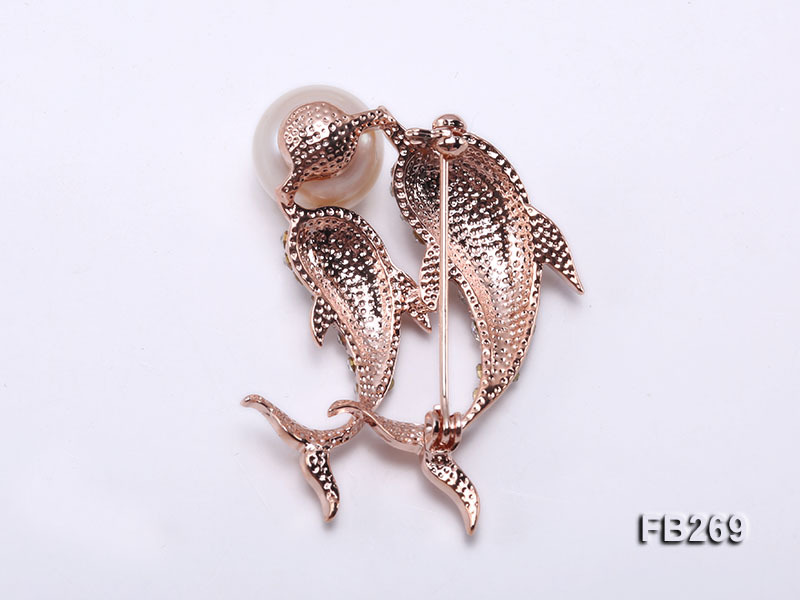 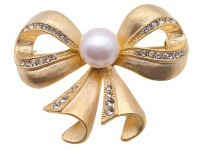 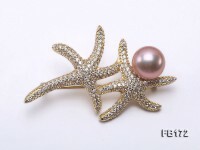 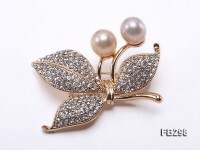 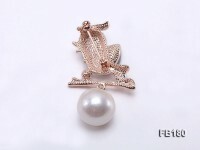 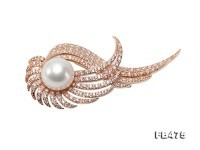 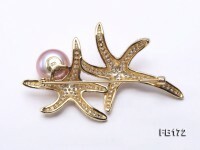 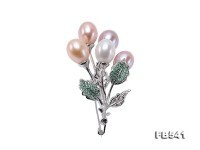 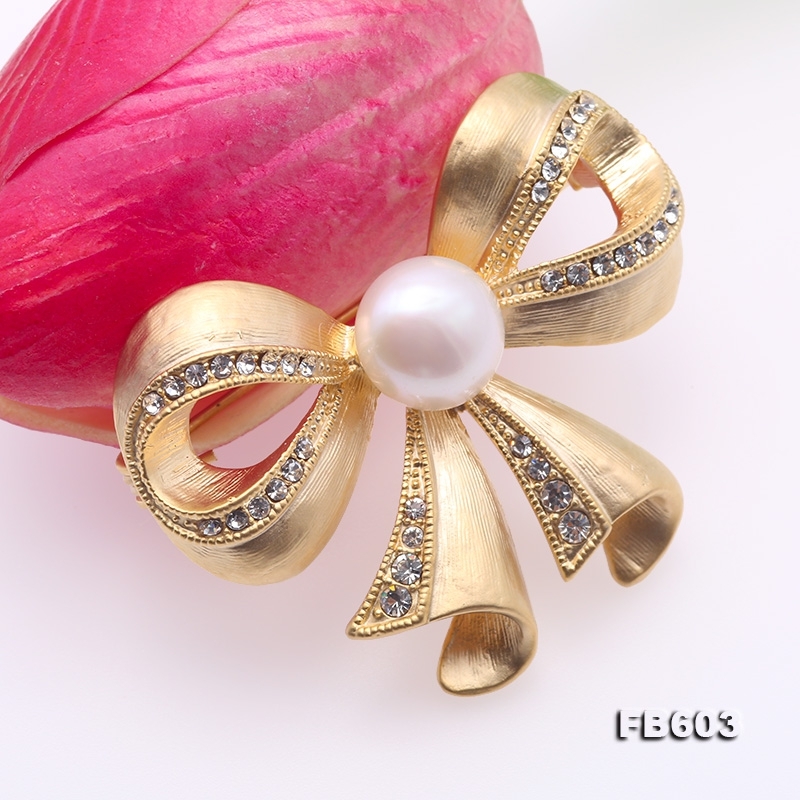 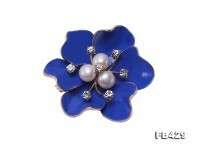 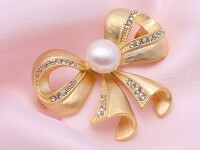 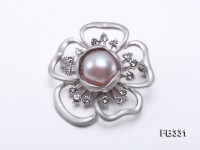 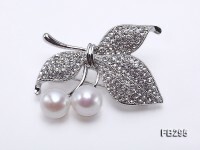 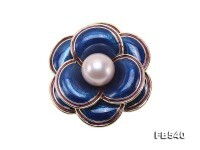 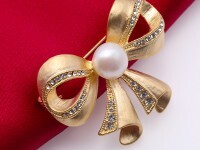 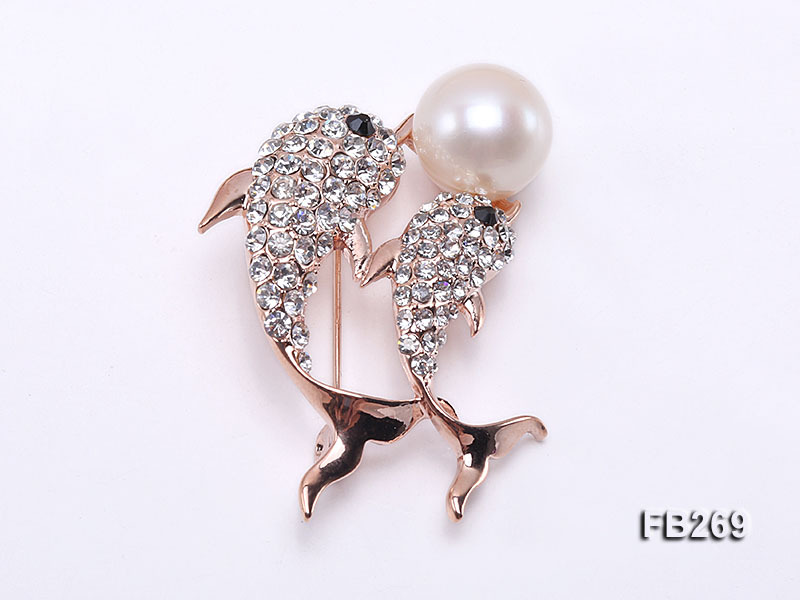 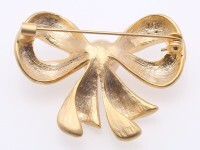 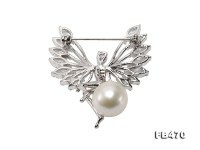 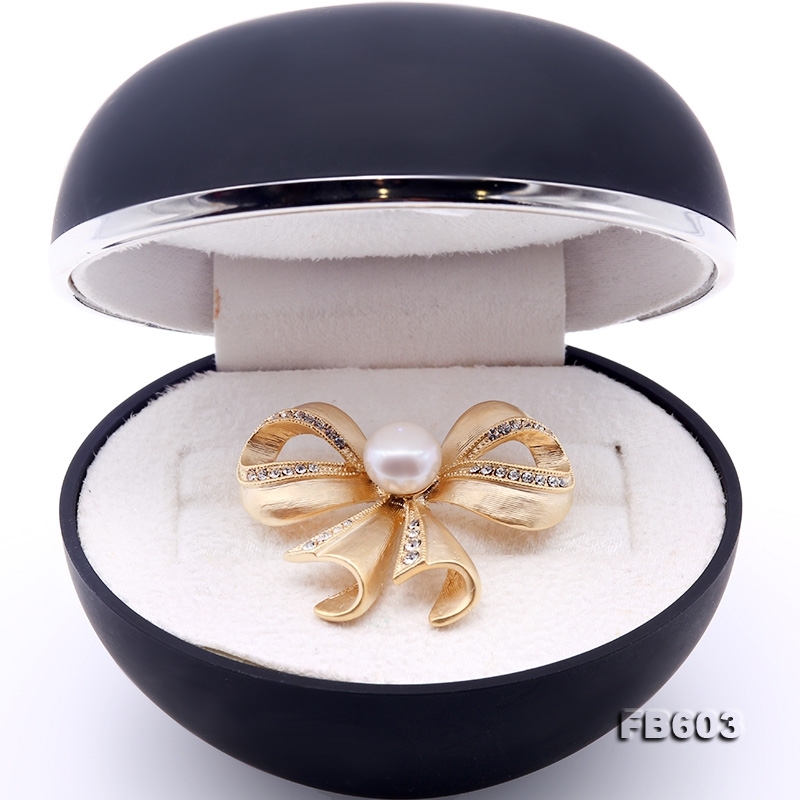 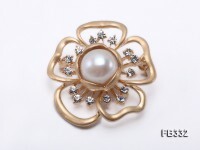 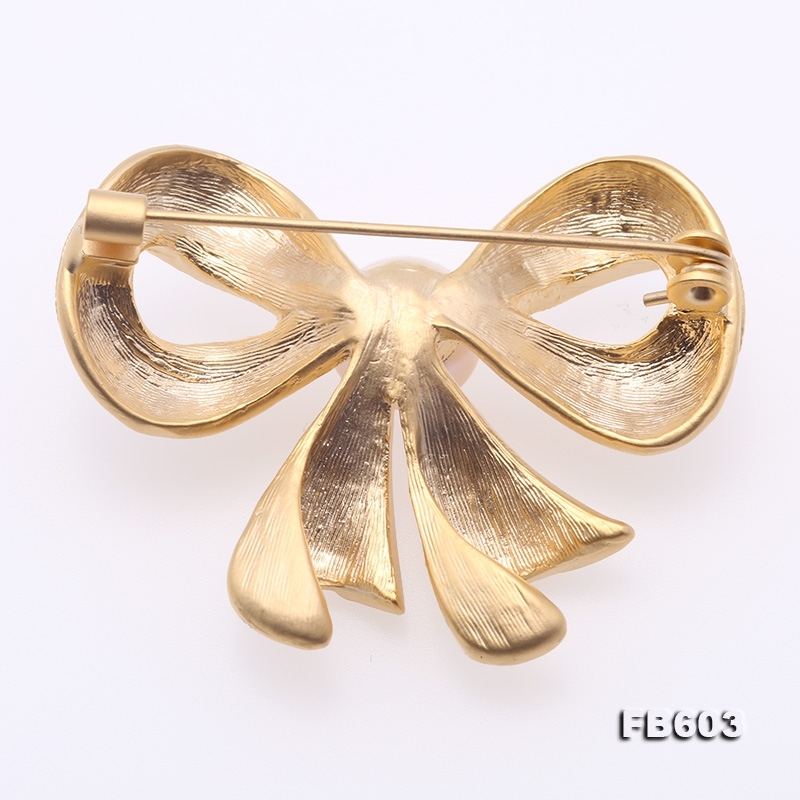 Delicate bowknot-shape brooch set with a high-quality 10mm lustrous white pearl. 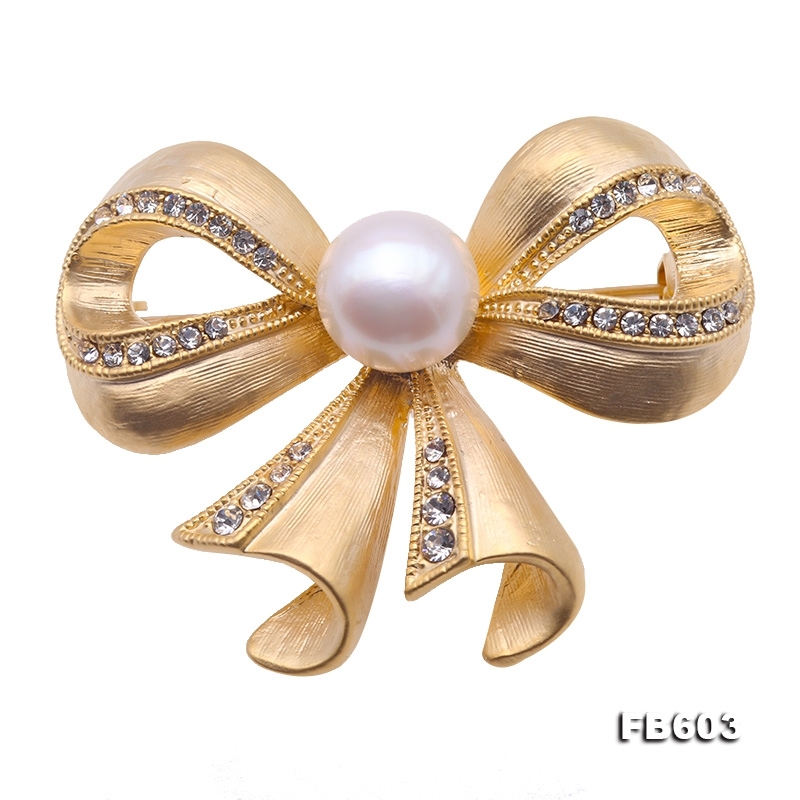 The pearl is flatly round shape, with perfect flawless skin and strong lustre. 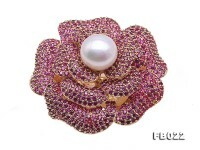 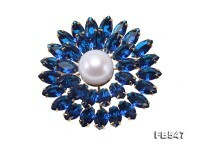 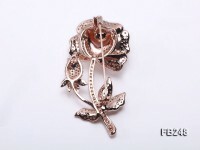 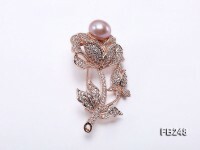 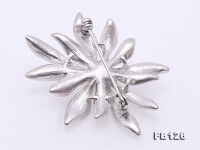 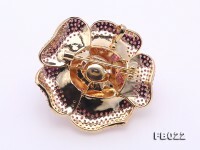 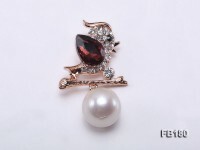 The brooch is decorated with shiny zircons.